Chevron Corp has fired up, in an eye-catching way, the so-called consolidation Permian phase with a $33 billion acquisition of Anadarko Petroleum. One potential "buyer" in the oil supermajor category ought to be Exxon Mobil, which needs some catalyst until Guyana will eventually pay off in a big way starting in 2020. I believe an excellent gamble that could pay off pretty fast is buying APA at $36 and accumulate on any weakness while holding your XOM position. 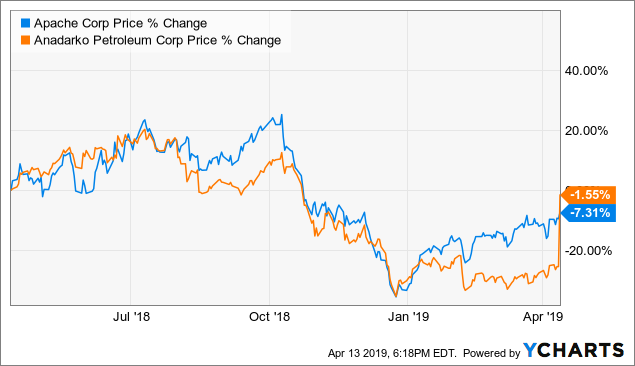 I assume with a high degree of confidence that we all agree on the fact that Chevron (CVX) has fired up, in an eye-catching way, the so-called consolidation Permian phase. 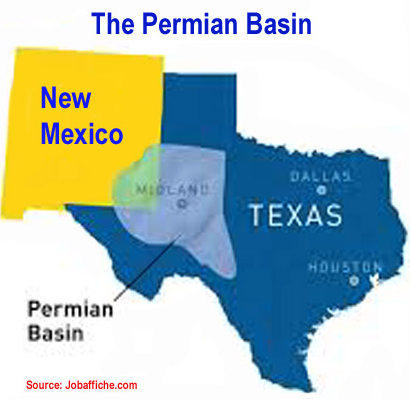 I call the consolidation Permian phase, the move between the all-mighty oil supermajors like ExxonMobil (XOM), BP Plc (NYSE:BP) or Royal Dutch Shell (RDS.A) (RDS.B) and specialized Exploration and Production companies involved in the prolific Permian Basin. Anadarko Petroleum (APC) attractiveness stands primarily in its presence in the Permian Basin and more specifically in the Delaware Basin (West Texas shale,) which attracted Chevron in the first place I guess. Chevron was not the only oil company interested. Occidental Petroleum (OXY) was and bid an even higher offer than Chevron (more than $70 a share), but Anadarko Petroleum declined the juicy proposal for some reason. 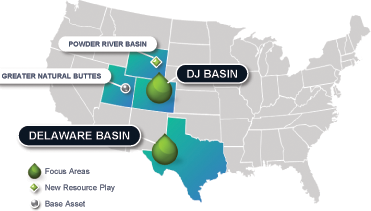 By the way, Anadarko Petroleum production upstream extends not only to the US shale with its gas play in Utah (natural gas,) the DJ Basin in Northeastern Colorado and the Delaware basin but to the deepwater Gulf of Mexico as well, with ten operated facilities which are a definitive plus for Chevron. Current International assets for Anadarko are located in Algeria, Ghana, Mozambique, and South Africa with a production of 102K Boep/d in 4Q'18. Chevron will become the first producer in the Permian basin after completion of the Anadarko acquisition. Chevron will have an estimated total US production of 504 K Boep/d in 4Q'18, which makes the supermajor the new first producer in the Permian basin ousting Occidental Petroleum by a large margin. Chevron total output upstream will fetch 3,784K Boep/d (4Q'18). Entire production for Chevron in 4Q'18 was 3,083K Boep/d, and Anadarko Petroleum was 701K Boep/d in 4Q'18 placing Chevron combined output of 3,784 K Boep/d closer to its rival Exxon Mobil (XOM) which produced a total of 4,010 K Boep/d in 4Q'18. One potential "buyer" in the Oil supermajor category ought to be Exxon Mobil which needs some catalyst until Guyana will eventually pay off in a big way starting in 2020 reaching 750K Boep/d by 2025. However, Exxon Mobil is lagging behind Chevron in the Permian Basin. But, Exxon Mobil is ramping up its drilling initiatives in the Permian Basin. The company plans a Permian production of 600K Boep/d, within the next five years, spending $50 billion in CapEx in the process. The 4Q'18 average production in the Permian was about ~190K Boep/d or up 12% sequentially. For more details, please read my article about the 4Q'18 here. With such CapEx expected to be allocated to the Permian, it is natural to think that ExxonMobil could achieve its production goal much faster by acquiring a Permian player such as Apache (APA), EOG Resources (EOG) or Occidental Petroleum (OXY). My first choice for ExxonMobil is Apache Corp. and here is why: It is an affordable major Permian play. In short, Apache is still cheap considering the growth potential. The stock underperformed because of a vast CapEx expenditure in Alpine High, which should start to pay off in H2 2019. It has a significant presence in the Permian and in Egypt which is also an interest for Exxon Mobil which recently entered Egypt’s upstream oil and gas sector. 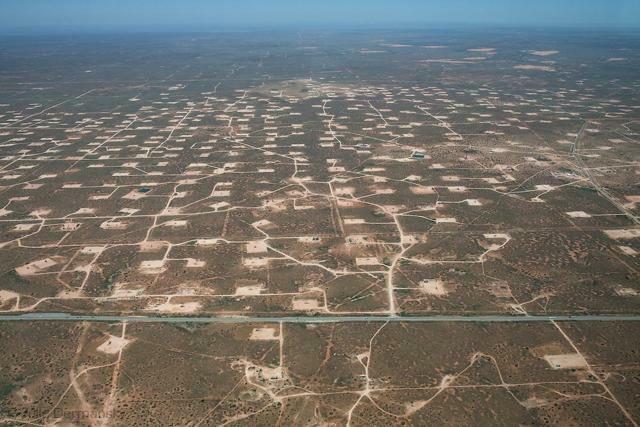 Note: The Alpine High development is located west of Fort Stockton, in Delaware Basin. Apache Total production for 4Q'18 was 482.3 K Boep/d. 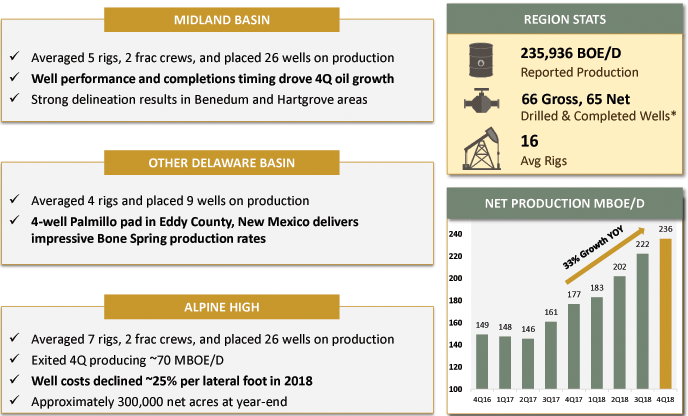 With a Permian production of 235,936 Boep/d in Q4'18 going up at a 33% YOY since 3Q'17 (Please see presentation below), it represents 83.2% of Apache's total US Production in Q4. Below is a detailed presentation of the Permian Basin stake. With a CapEx expected to decrease materially in 2019, Apache is now exhibiting its third quarter with positive free cash flow. Alpine High and the other Permian basin plays are now posting some impressive well results. The company showed that its upstream CapEx in 2019 would be reduced to $2.4 billion or a reduction of 22% compared to last year, with 70%-75% allocated within the USA with the goal "to return 50 percent or more of any free cash flow generated to shareholders." In the US, Permian Oil was our biggest growth driver with an increase of more than 8,000 barrels of oil per day or 9% compared to the third quarter. 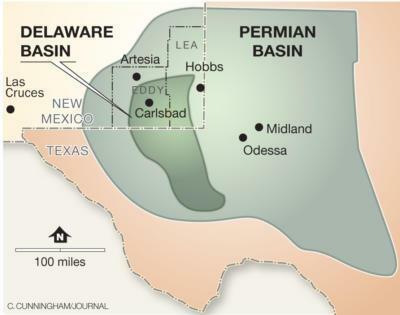 The Midland Basin, Delaware Basin and Alpine High, all contributed to this sequential Permian Oil increase. Both Apache and Anadarko are down from a year ago. What would be a fair price for Apache Corporation? I believe Apache could fetch an estimated $18 billion to $20 billion based on the recent Chevron acquisition. Apache stock price may reach $51+ per share or a premium of approximately 40%. Above all, this acquisition is making solid business sense by creating a new stronger entity with a significant presence in the US Shale. Great synergies could benefit ExxonMobil bottom line. Finally, any dollar invested in this acquisition will translate to direct cash flow. The combined production in the Permian is 426K Boep/d based on the Q4'18 numbers, which means that ExxonMobil can surpass Occidental Petroleum production and become the second producer in the Permian Basin almost overnight. The only negative, and it is an important one, is that existing XOM shareholders will be penalized by this transaction and are likely to lose an immediate 3% to 5% on any acquisition news. It is what happened to the existing Chevron shareholders who are not especially thrilled with such a transaction. Thus, I believe an excellent short-term trading potential which could pay off pretty fast is buying APA at $36 and accumulate on any weakness. The stock price is still low as we speak, is safe and pay a good dividend of $1.20 per share annually or a yield of 3.3% and could provide a significant profit on any acquisition news. On the other side, I would be cautious about buying XOM or BP Plc. (BP) which could lose about 5% on any significant acquisition attempt. Author's note: If you find value in this article and would like to encourage such continued efforts, please click the "Like" button below as a vote of support. Thanks! Disclosure: I am/we are long XOM, APA. I wrote this article myself, and it expresses my own opinions. I am not receiving compensation for it (other than from Seeking Alpha). I have no business relationship with any company whose stock is mentioned in this article.